GlobalGolf / Junior's Shoes / Golf Shoe / FootJoy / Freestyle Jr. 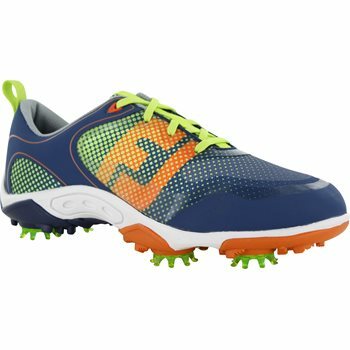 The FootJoy Junior Freestyle golf shoe stylish and designed to unleash a young golfers full potential. This shoe is sure to keep your junior player comfortable throughout their round with its lightweight performance mesh construction and durable cleated traction sole.